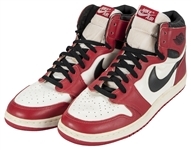 While Larry Bird and Magic Johnson entering the NBA in 1979 are credited with reviving a then fledgling NBA, it was Michael Jordan’s entry in to professional basketball in 1985 with forging the game ahead to the sport it is today. 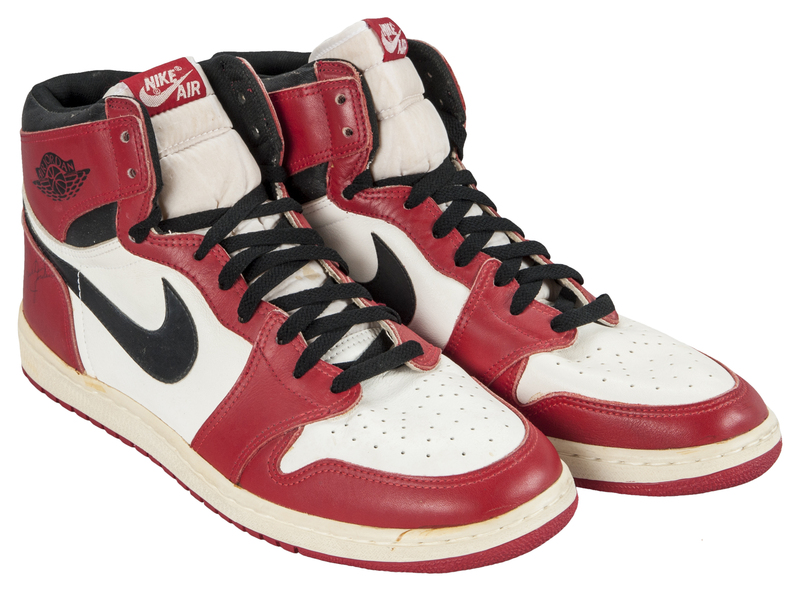 This pair of one of the initial styles of NIKE Air Jordan’s were worn by Jordan during his early years, and is one of two color schemes (Black NIKE swoosh on white base) made by NIKE in 1985. 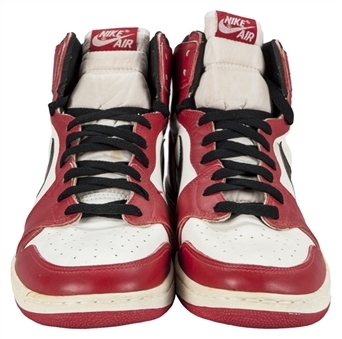 As with other documented Michael Jordan personally game worn shoes from 1985, these two shoes are actually different sizes, specifically size 13 for the left shoe and size 13.5 for the right shoe. This size difference corresponds with other documented examples such as a pair which came directly from the Michael Jordan Foundation. The sneakers with this discrepancy were made based upon the specific requests of Michael Jordan himself. 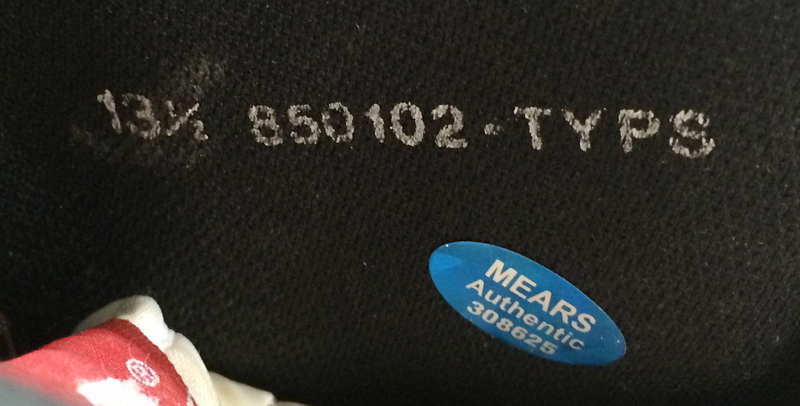 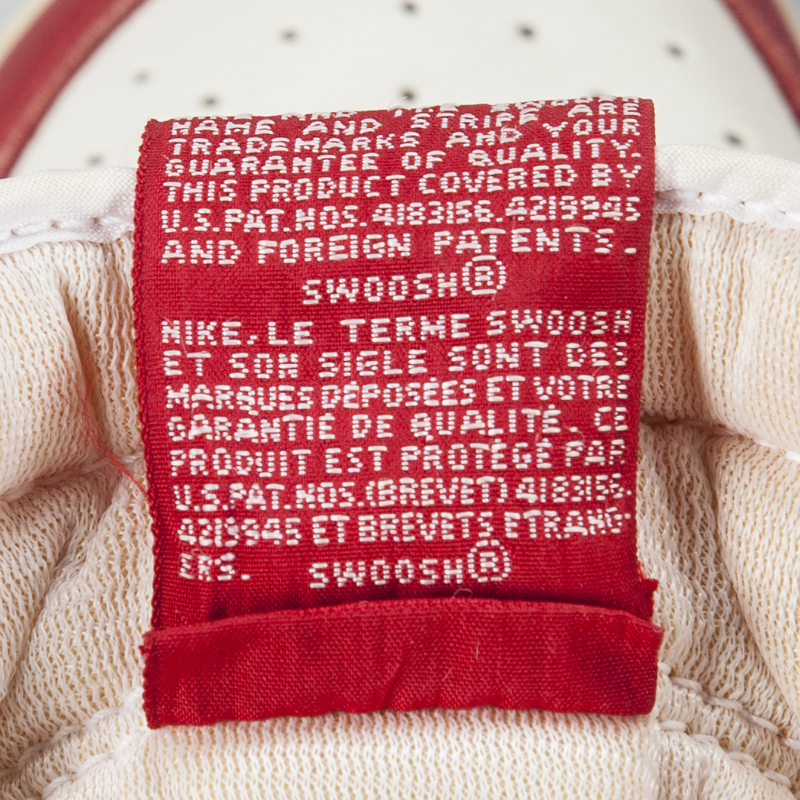 The manufacturers code inside each shoe states “850102-TYPS” with the last two letter of “PS” referencing “Player Sample” and were shoes not meant for general release. 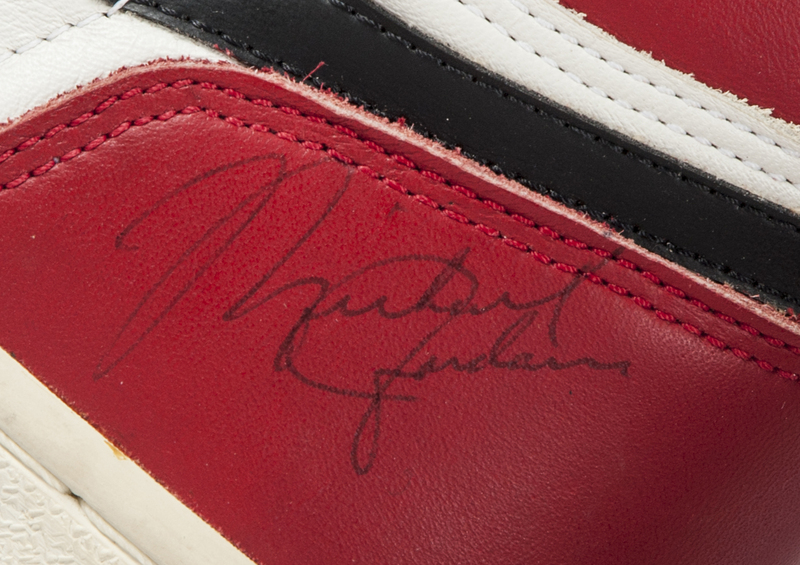 That inventory code indicates that these sneakers were produced in January, 1985, which was the second half of Jordan's 1984-1985 rookie season. Based upon photo matching this type of shoe was worn by Jordan in 1985, but also used in parts of the following season. 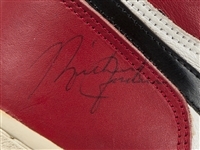 Each shoe shows moderate game use with toning and multiple scrape markings, and each shoe also contain a black “Michael Jordan” signature. 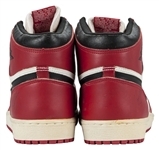 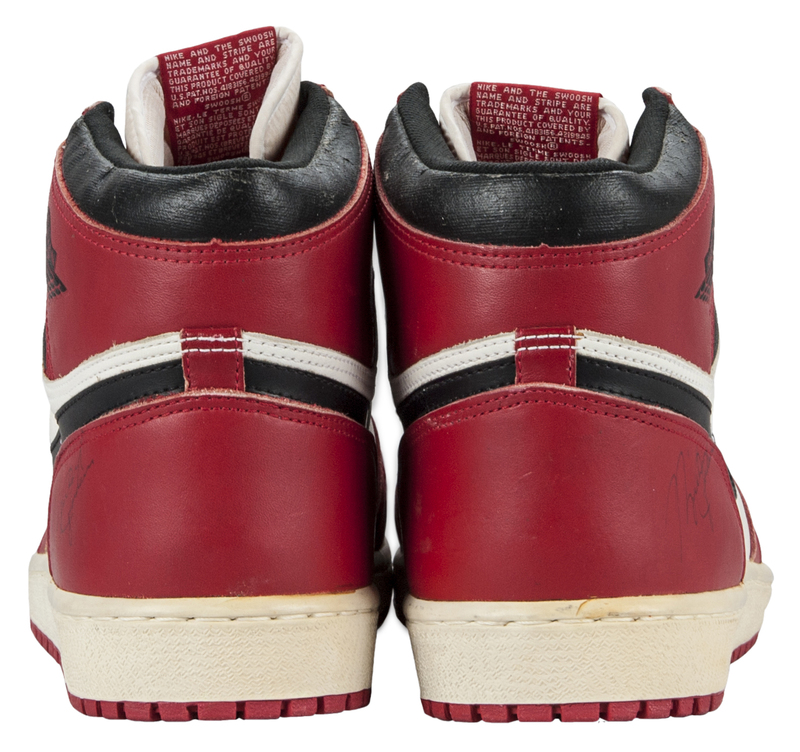 Original game worn early Air Jordan shoes are extremely rare with only a handful of known pair extant. 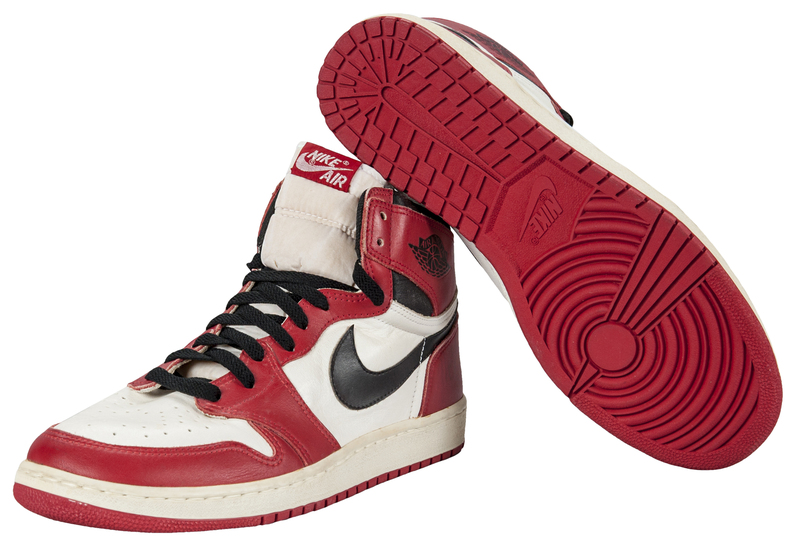 Each of these early pair has the same type of production codes, and was of size 13 for the left shoe and size 13.5 for the right shoe, a specific player attribute noted for rookie era Air Jordan's worn by Michael. 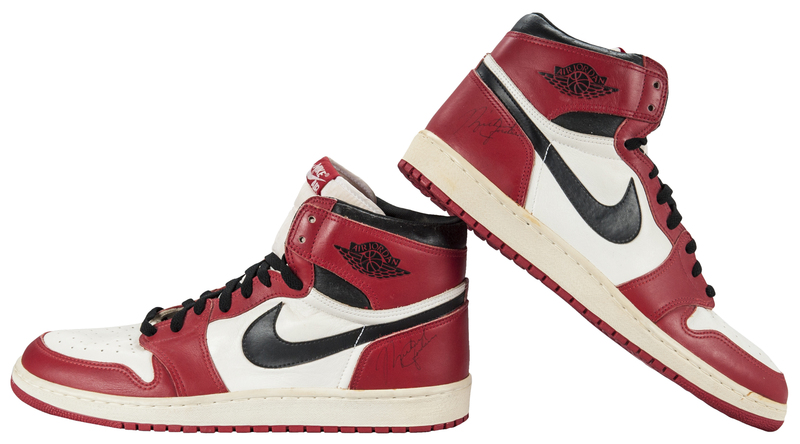 This is amazing opportunity to obtain early Jordan game worn shoes, dated to his rookie season of 1985 when his presence catapulted the NBA to the behemoth sport it is today. 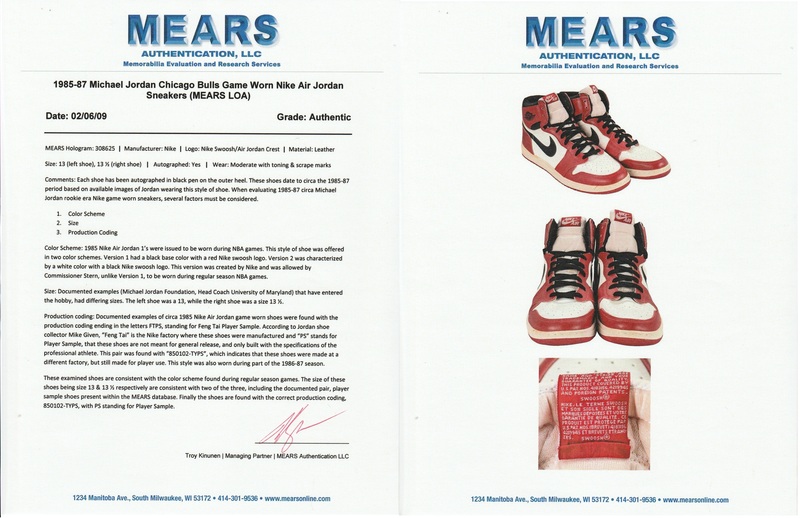 These sneakers come with a full LOA from MEARS and an Auction LOA from JSA for the autographs. At the present time, JSA is unwilling to upgrade the auction LOA for the signature to a full LOA as they are suddenly now 'inconclusive' (308625). 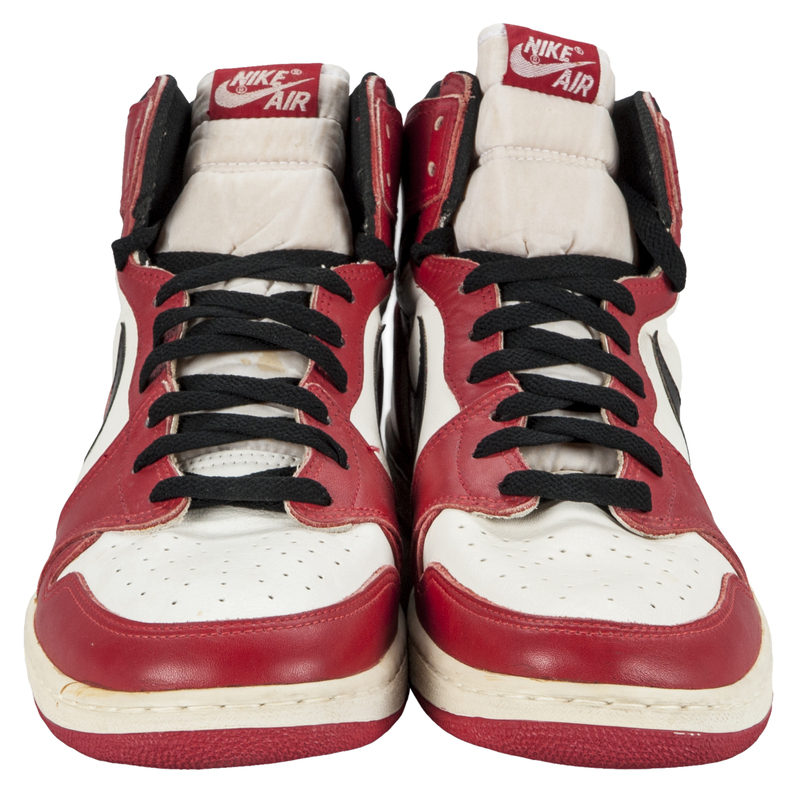 Auction closed on Sunday, August 14, 2016.